I'm starting something new on the Hines-Sight blog for 2013. I hope you like it. I decided I need some consistency since my schedule is so hectic, and I need a deadline to stick with weekly. 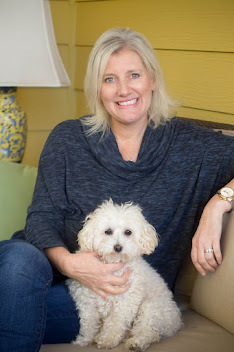 Each week, I am going to give readers a recommendation called "Leigh's Fabulous Friday Pick." I'm going to share it with you because I like the experience, hotel, restaurant, or recipe. It may be only a photo with a few lines of text. 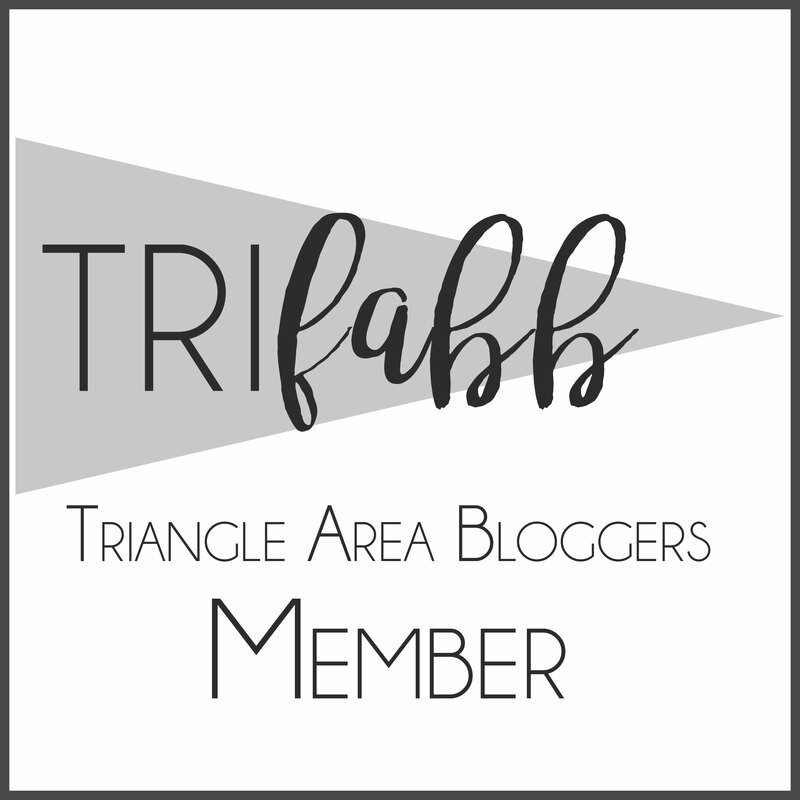 Because I live in Raleigh, many things will be locally-based, but as a luxury travel editor for Skimbaco Lifestyle Magazine, I do get out of the Triangle area, too. 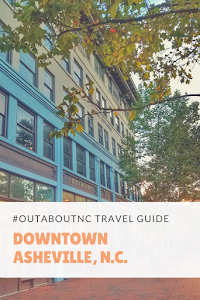 So, even though you may not live in Raleigh, I hope you will enjoy learning about some new places in my hometown, in North Carolina, or wherever my travels may take me. I have been going to a little, old-fashioned cafe in the Swift Creek shopping center of Raleigh for 10 years. When you walk into Barry's Cafe, you know you are eating with the locals. The cafe serves breakfast, lunch, and dinner. The short-order cooks can make some great Mickey Mouse pancakes, but I go for the burgers and fries. This is the "Mama" burger. Will gets the "Papa" burger, and my son gets the "Baby" burger which is 2 ounces, but I think he's about ready to move up to the "mama" burger at 5 ounces. 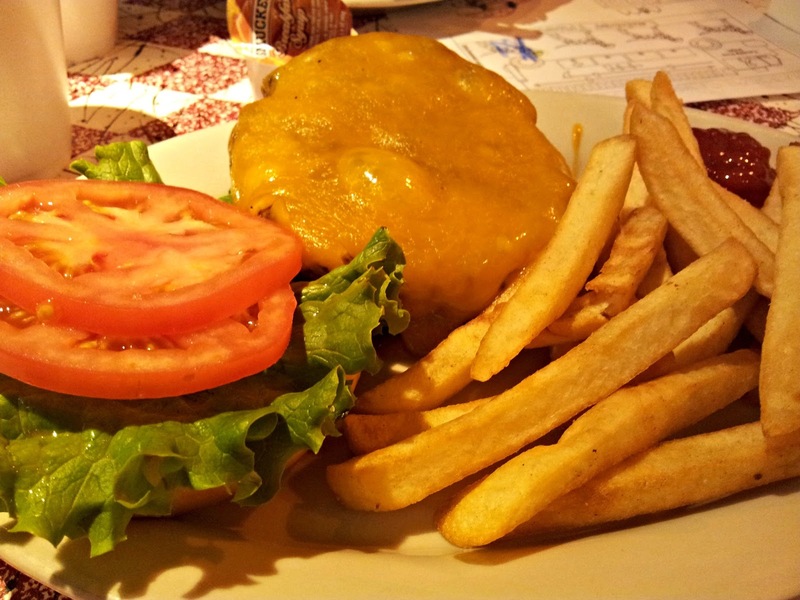 The "mama" burger with fries, which is a $1.75 upgrade. I get mine plain, but they do have seasoned. I don't eat hot dogs often, but when I do, I order them at Barry's Cafe. And yes, I like mustard, ketchup, and slaw on my dogs. Hold the chili! As long as they don't run out, Barry's will give each customer a complimentary cookie. Trust me, ask for the chocolate chip cookie. They will melt in your mouth! 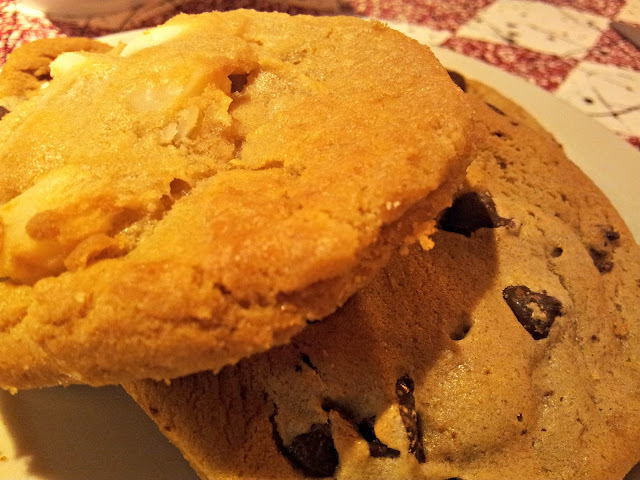 Go for the chocolate chip cookie! I'll go ahead and share that Barry's Cafe is not an inexpensive place to eat, but it is in line with most sit-down chain restaurants. Our bill, last night with tip, ran about $40. But, it's good food, and I feel good about supporting a local business. The diva said her pancakes were "awesome." I left nothing on my plate. And children will love the firefighter theme. 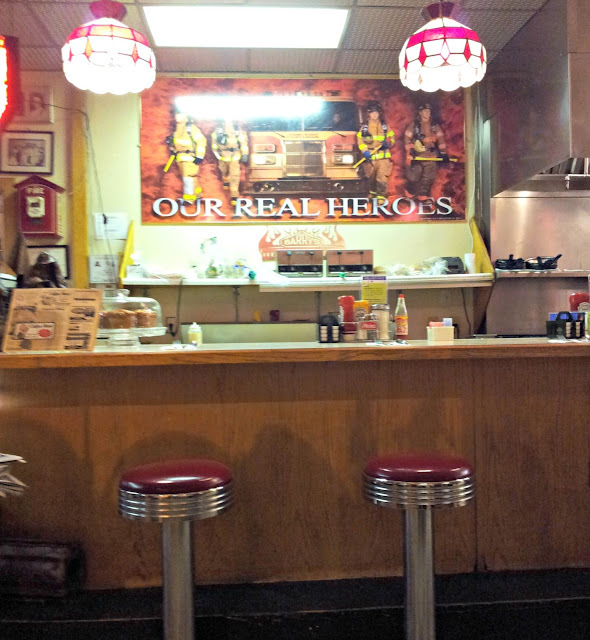 The owner, Barry, is a strong supporter of our local firefighters, and has established, "Feed the Firefighters Foundation", which provides meals for firefighters when they are on a call. Two other Raleigh restaurants have also joined him on his cause. 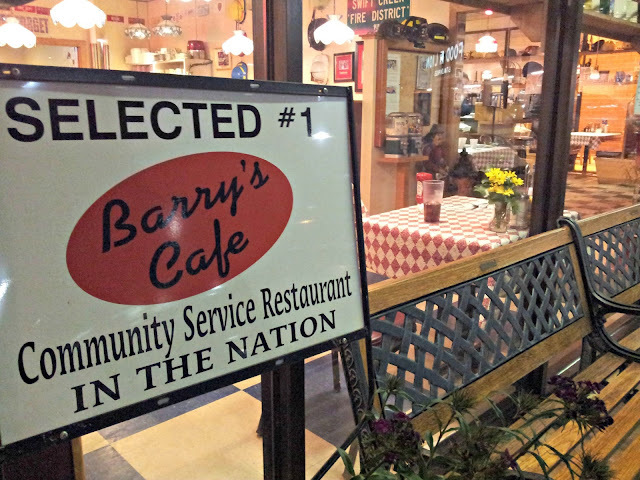 Barry's Cafe has been given the honor of being selected as the "Number One Community Service Restaurant" in the nation. If you go, you may just see my family!